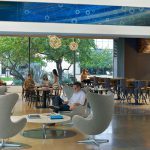 In 2012, Systems Source completed the first phase of several DirecTV projects around the country. 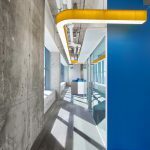 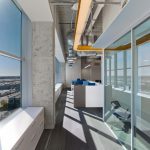 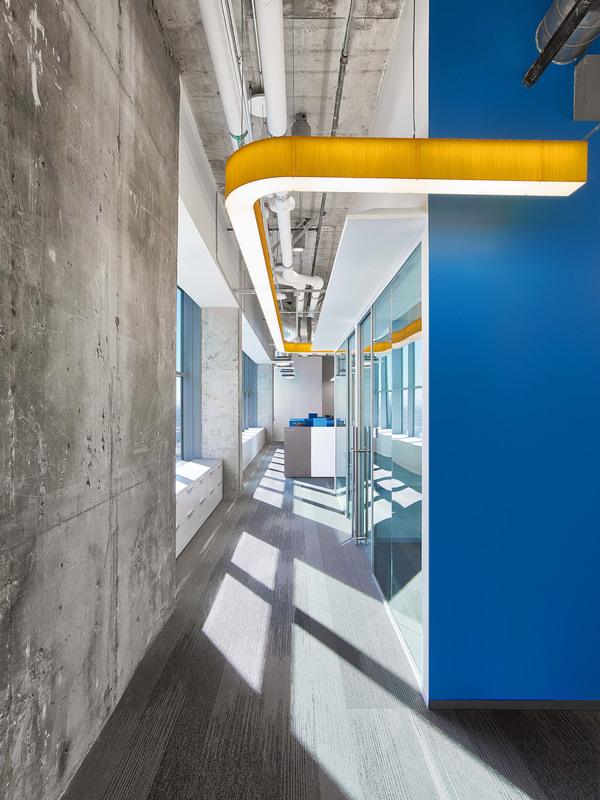 The first building in El Segundo, California (dubbed LA5) was a full renovation of over 12 floors, complete with Knoll-engineered solutions for thousands of employees. 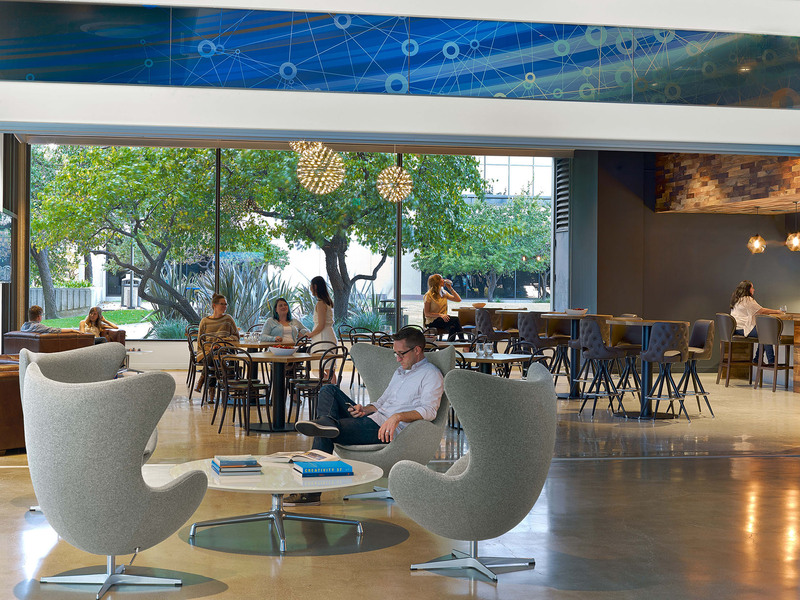 The DirecTv kit of parts carefully planned by the Systems Source design team was a blended Knoll solution specifically designed to serve DirecTv with future reconfigurations and product enhancements. 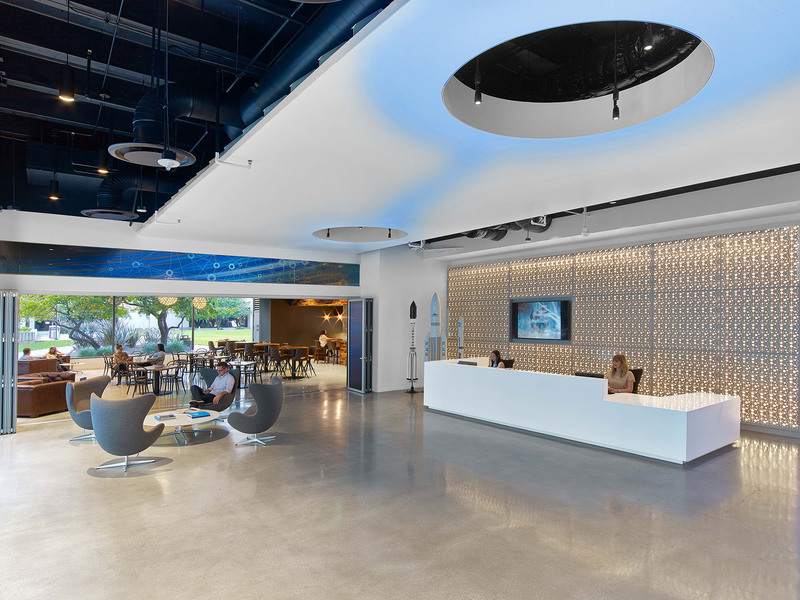 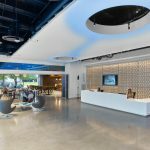 Crucial to the planning, DirecTv wanted an innovative, sustainable, flexible environment that supported future growth. 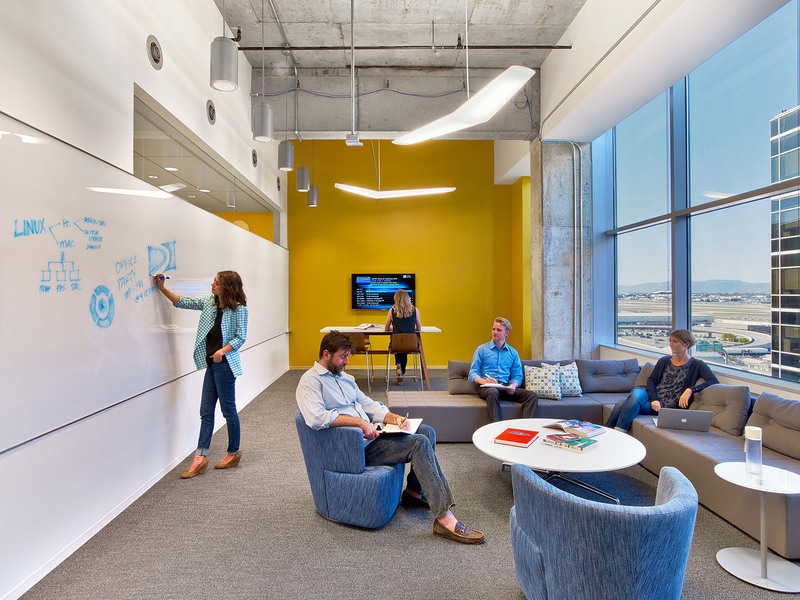 Collaborative areas had to blend with paneled workstations to allow privacy and deep thinking when required. 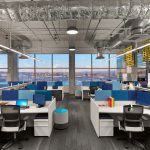 Keeping the worksurfaces uncluttered was another key objective for DirecTv, and Systems Source responded by creating a custom Knoll storage solution complete with whiteboards. 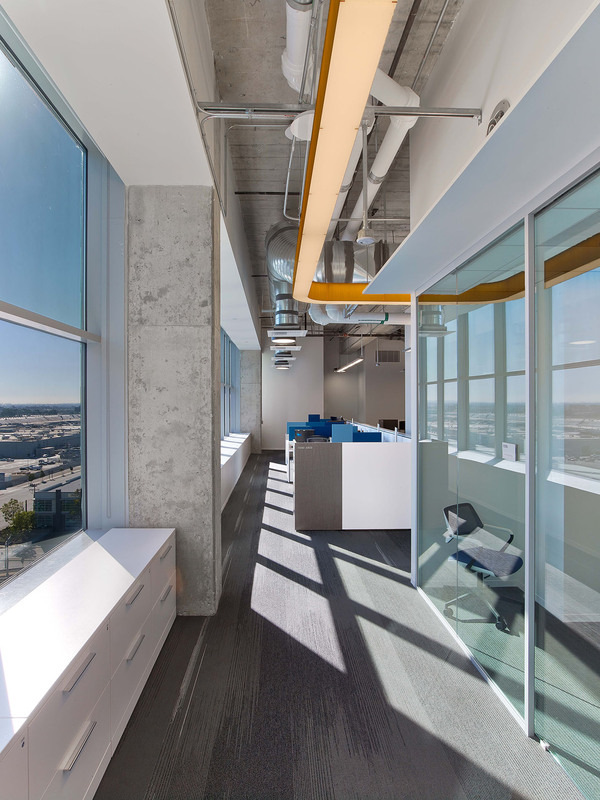 The finished El Segundo campus more than doubled their previous campus footprint and went on the achieve LEED Platinum certification. 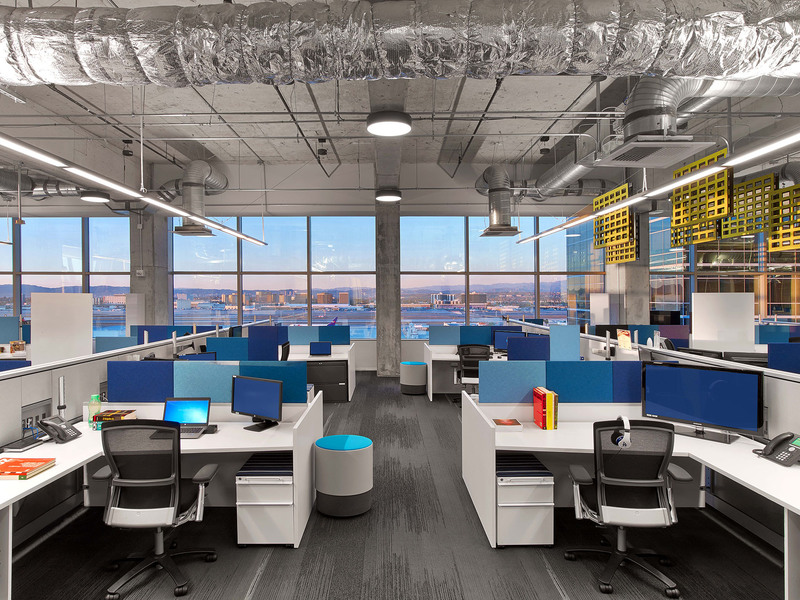 After the successful completion of LA5, the Systems Source project team went on to complete multiple DirecTv offices in cities across the country including the Denver, Puerto Rico, Minneapolis, Chicago, Philadelphia, Huntsville, Phoenix and two additional buildings at the HQ campus in El Segundo.